Gospel music diva, Ani Light returns with a declarative melody . 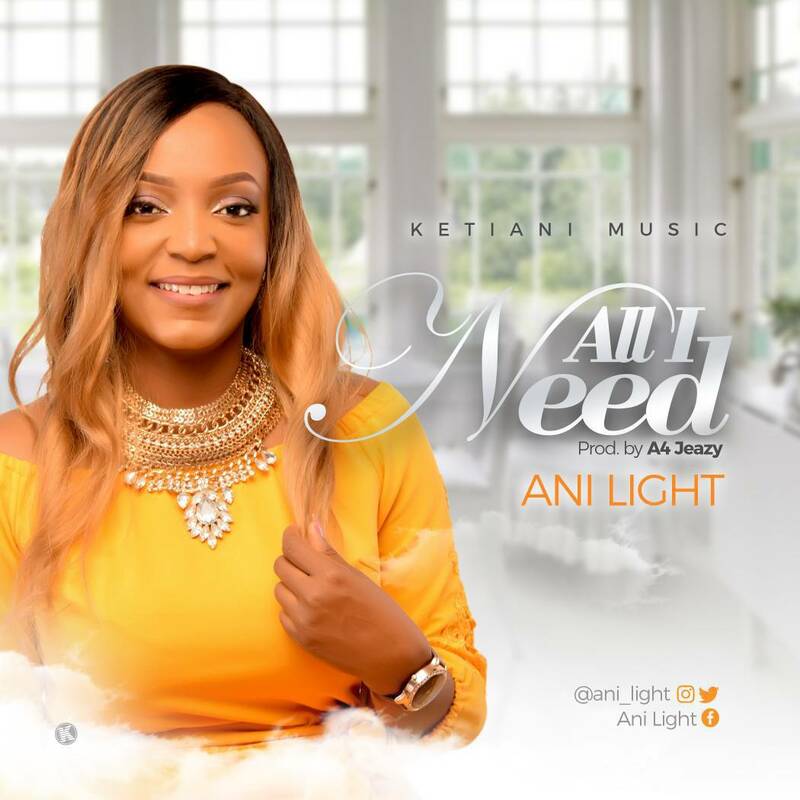 “All I Need ”is not just a song, it a conclusive settlement , a position where Ani Light stands unapologetically. “I ’ ve got Jesus , I ’ ve got everything . He ’s more than enough for me ”. The anointed Songwriter , Singer , Worship Leader and Gospel Music Artist follows up on the remix of her single “Amanam ” excellently . Her first single titled “All You Wanted ” was recorded at the age of 9 . In 2013 , she launched her debut album titled “My Greatest Treasure ” which included singles such as “Unto Your Name ”, “So Glorious ”, amongst others. Ani Light is serving in Christ Embassy church . Her music has ministered to many, bringing joy , healing , encouragement and strengthening faith . She is greatly motivated by the desire to see her songs inspire people to praise and worship God . She also desires to inspire youths all around the world to love and serve God. “All I Need ” is released from the stable of Ketiani Music and produced by the prolific A4 Jeazy.